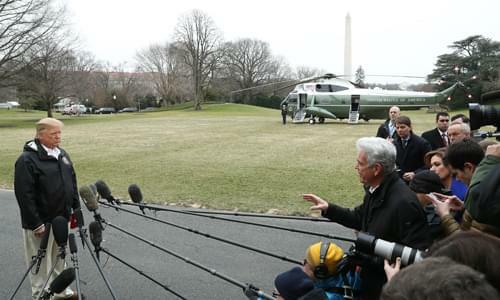 On Monday’s Mark Levin Show, The media continues circulating surface-level explanations for the abuses that rogue members of our government committed against the Trump Campaign. The spying and the media coverage are similar in that they both explain that President Trump was so unique that traditional notions of a free press must be ignored and the ‘new journalism’—public and civic activism journalism—advocating for the progressive movement with social activism. This is the reason we have CNN, MSNBC, and the New York Times which all sound like editorials instead of news. Then, Joe Biden might be a creep but the evidence against him doesn’t amount to a crime. Later, Congress is now preparing to issues subpoena’s to speed up the release of the Mueller Report and the Republicans need to step up and stop being cowards. After, Rep. Alexandria Ocasio -Cortez spent the weekend politicizing 9/11 and the hurricane in Puerto Rico, misstating the facts about the death toll and misrepresenting the role of the federal government and the responsibility of their own state government in maintaining and repairing their infrastructure.